Luxembourg’s modular data center provider Etix Everywhere wants to build a network of edge data centers, and is one step closer to doing so, thanks to a capital injection from SBI Crypto Investment. The subsidiary of Japanese online financial services provider SBI Holdings, Crypto Investment took a 41 percent stake in Etix Everywhere for an undisclosed sum. The company joins existing investors InfraVia and Tiger Infrastructure. 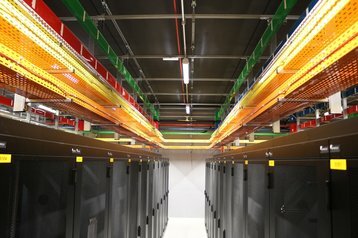 The company provides a choice of colocation, co-investment or the full sale of data centers it builds to spec. It has so far deployed eight of its modular data centers, and operates seven of its own sites in France, Belgium and Morocco, with another five under construction and an additional ten planned. Scheduled facilities in Sweden, Scotland and Ghana are at various stages of completion, and other projects in Ireland, the UK, Germany, Sweden, Finland, Iceland, in nine African locations (Uganda, Djibouti, Nigeria, South Africa, Kenya, Angola, Senegal, Ivory Coast, Gabon) and in four US locations (New Jersey, California, New Mexico, Nevada) are said to be under development. “Etix Everywhere is on its path to create an unprecedented network of edge data centers. Its impressive pipeline of projects and patented in-house innovations led us to invest in the Group,” he added.